Your wedding day is a special day that is dreamed about for years, encapsulated in your pictures, and worn on the smiles of your guests. Let us help you create the dream. The PartyZone! Productions team has the talent, know-how and most importantly the equipment to make it happen. You can choose one of our packages or we can meet and create something truly unique and breathtaking. Elegant emcee to host the festivities in your honor. He will facilitate crowd participation, and keep the event moving smoothly. Your venue has different areas and you need sound in those areas. This would allow your quests to hear the music and any announcements that would be made. We can set up wireless speakers in those areas. We invite the Bride and Groom into our recording area. 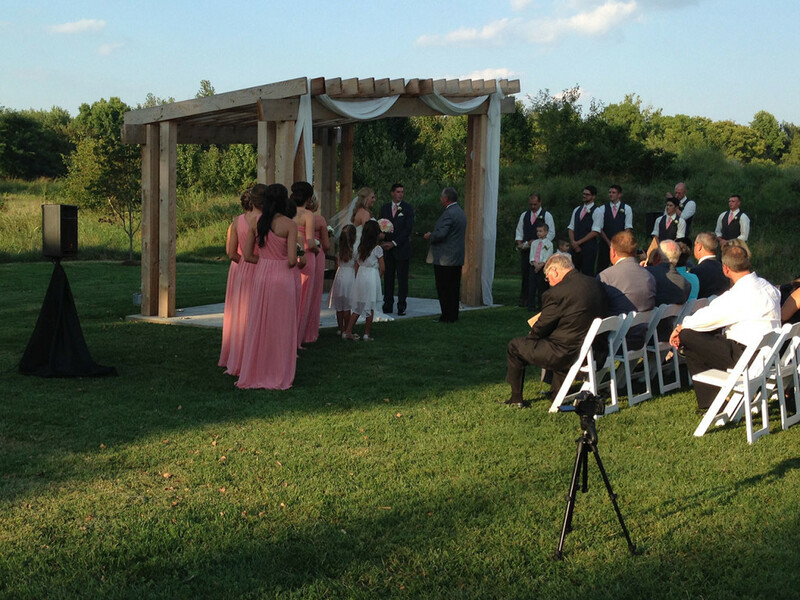 They record their vows (standard or custom) separately. We then take that recording and their first dance and drop it into the computer. We remaster it all so that it sounds as if they’re part of their first dance. This is one of the most requested additions we offer! You will receive a CD of the recording in your card box. 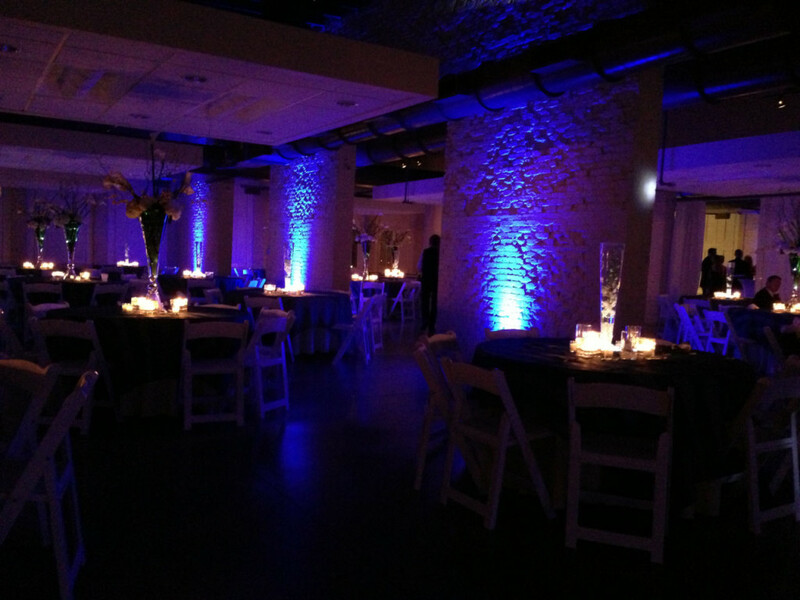 Our Uplighting is battery powered, wirelessly controlled, and can be over 30,000 colors. What does this mean for you? It means they can match your exact colors, be placed ANYWHERE in the room and can the colors can change just by asking the DJ to change them at ANY part in the evening. How would you like your name in lights? 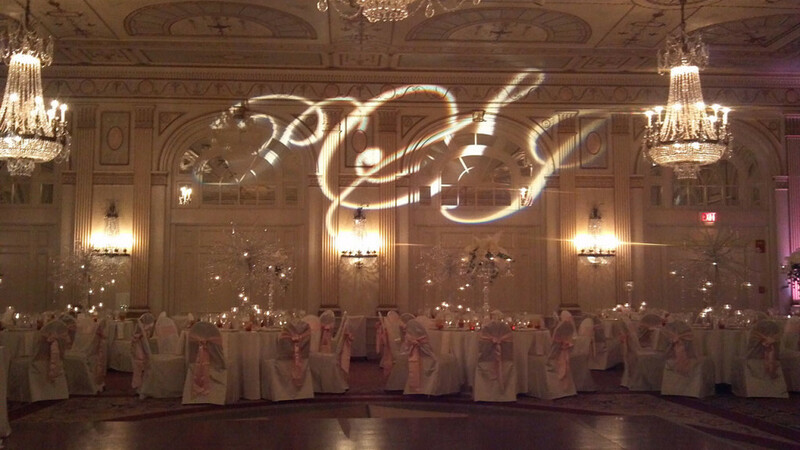 We can design a custom monogram for your event that can be placed on the dance floor, the wall, or the roof of the tent! So originally it was rice that people threw as a sign of good luck, Rice = Bad for birds. Bird seed became the new rice until all of the birds figured out where to hang out. Small things of bubbles became the new bird seed. The problem with the small vials of bubbles is that by the time your guests had blown ten bubbles they with dizzy. We solved all of the problems with our large bubble machines. During the last dance of the evening we invite everyone to the dance floor to dance along side of the bride and groom for the final song. 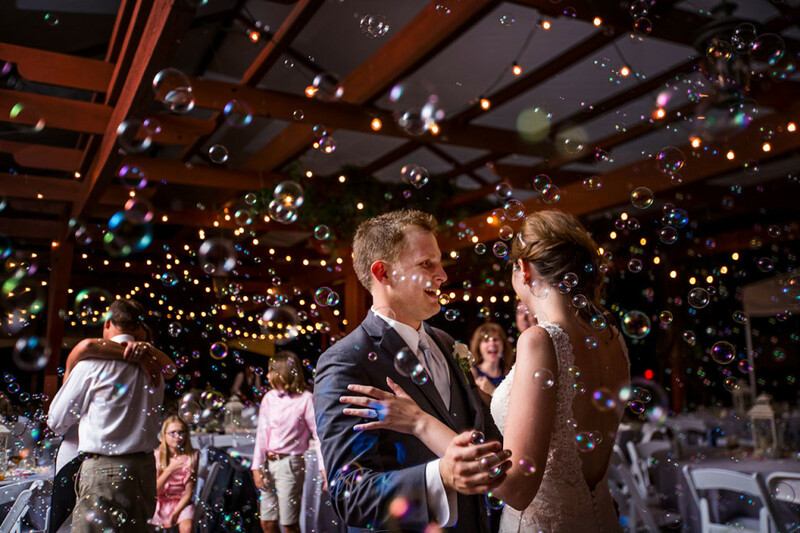 Everyone gets to dance in the bubbles and we send the bride and groom and everyone else off with a memorable last dance. Take your first dance to new heights. Something new and totally different than you’ve ever seen. During your first dance our Dry Ice units give the effect that you’re dancing on a cloud. This effect is stunning in your pictures. No risk of setting off fire alarms as the effect is based on just cold air. As the cloud rises it heats back up and dissipates. Some venues still do not allow this type of effect. One of the more expensive items displayed at the reception is the cake. Why not display it correctly with our cake lighting. LED Pinspots provide ample white lighting with absolutely NO heat. Who wants a picture with a fire extinguisher or chipped paint in the background. Sometimes its the background that make or break the cake picture. 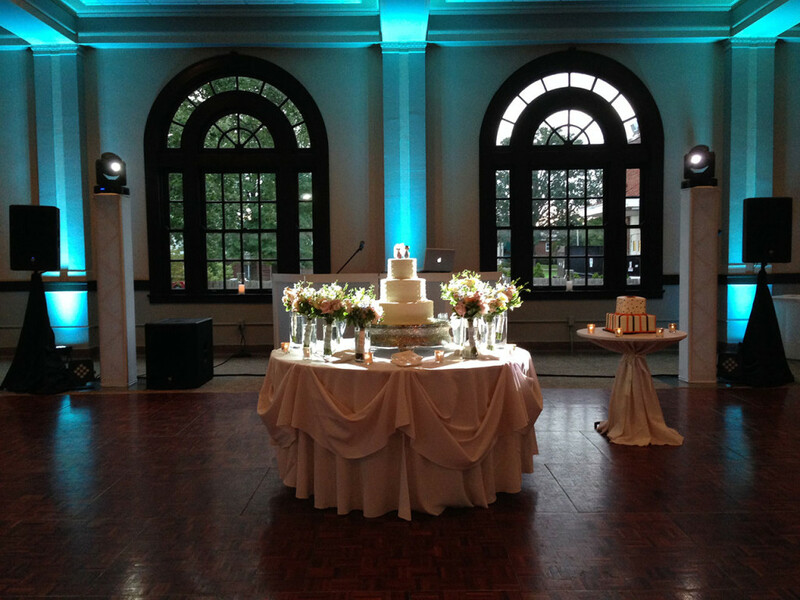 Our cake backdrops are a beautiful touch to your pictures. They can integrated with the uplighting to bring more color into your pictures as well. 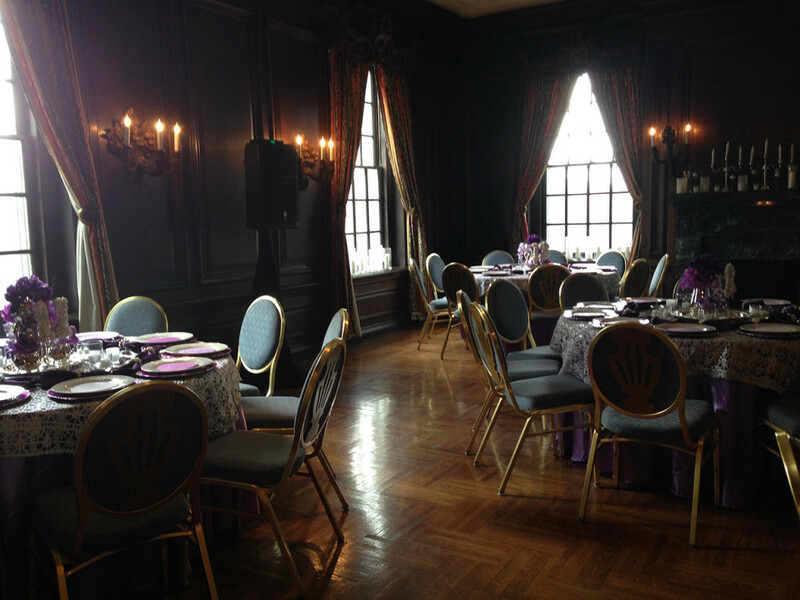 Has everyone walked into the same room that you’re hosting your event many times before? You want it to look entirely different? You want the room to have a “WOW” factor? Or would you like to block off or section off the room? 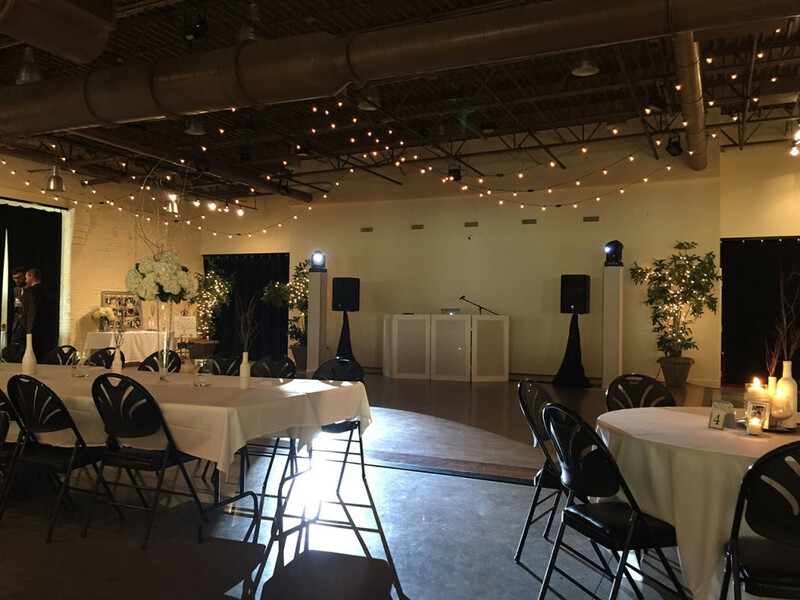 We have pipe and drape that can go to 16′ tall. We also have 12′ tall Red Velour that definitely make for a ravishing backdrop. One of the most popular trending lighting effects going. Market Lighting or Bistro Lighting can only be applied in certain venues due to abilities or inabilities to affix them. Pricing is quote based. Would you like your guests to see your Engagement photos? Maybe it’s a story about how you two feel in love? The music video’s playing to songs are an awesome touch when the dance floor officially opens. These tv’s are mounted to our lighting truss. Our dance floor is a wooden parquet floor. Pricing below is based on installation on stable, indoor, flat flooring. Price includes delivery, setup, tear down immediately following event, and load out. Based on anything outside of a 25 mile circumference from the PartyZone! Productions office. There's Over 13,000 brides getting married in Louisville This Year. Needless to say, we book up fast!